The Hampton Inn of Waynesboro/Stuarts Draft VA hotel is the proud recipient of the Lighthouse Award from Hilton for being in the top 5 of all Hampton hotels in 2003. 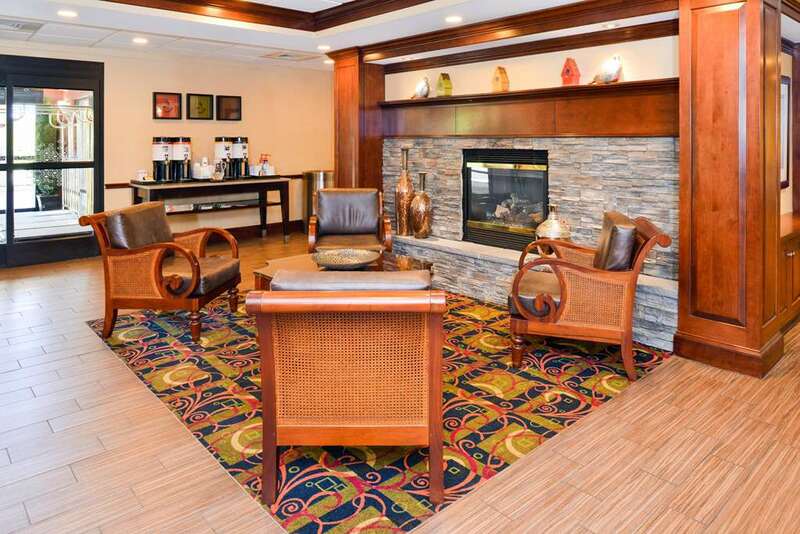 The perfect location for business or leisure this Hampton Inn hotel is situated at the crossroads of the Shenandoah Valley and the juncture of Skyline Drive and Blue Ridge Parkway in Waynesboro Virginia. The hotel is off of Virginia Interstate I-64 just minutes from Waynesboro Staunton and Stuarts Draft and just 30 minutes from Charlottesville the University of Virginia Wintergreen and Monticello. Whether you are conducting business with one of our Waynesboro companies or coming to the area to enjoy Virginia history culture nature or sports the Hampton Inn of Waynesboro/Stuarts Draft hotel is the perfect location for you. This Hampton Inn hotel has 66 comfortable spacious rooms offering complimentary wireless high-speed internet access. All rooms at the Hampton Inn of Waynesboro/Stuarts Draft hotel include a refrigerator microwave coffeemaker hairdryer iron and 27 inch television with over 70 channels of cable television including HBO ESPN CNN and Fox News. To make your stay even more comfortable our hotel offers an indoor pool and a complimentary hot breakfast in the morning. We love having you here at the Hampton Inn of Waynesboro/Stuarts Draft hotel in Virginia.